Why bother getting brain supplements? There are too many individual nutrients to pick from; vitamins, herbs, amino acids, and minerals. 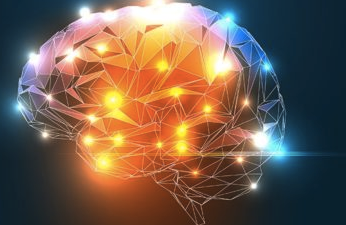 Finding a single best brain booster is a tough ask. Ultimately, the decision hinges on you. What is your aim while finding the right supplement for yourself? 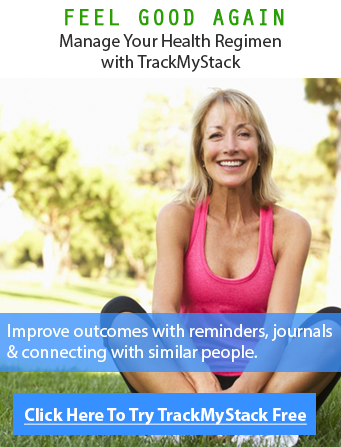 Are you trying to prevent age related mental depreciation or trying to overcome depression and anxiety? This article aims to list some of the top brain supplements and supplements for brain health that will help enhance your cognitive skills while tackling the issues that you wish to overcome. Citicoline is a natural compound found in each of your body cells. It helps build healthy brain cell membranes and improves blood flow to the brain while also boosting brain plasticity which is the brain’s ability to change throughout your life. 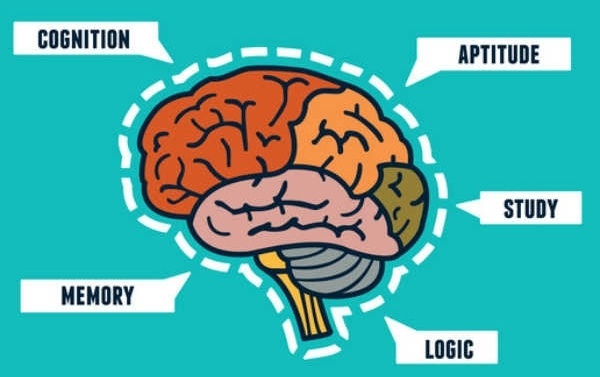 Citicoline supplements can dramatically improve memory, concentration, focus, and attention, and doctors prescribe citicoline for severe neurological disorders such as age-related memory loss, stroke, brain injury, dementia, Parkinson’s disease, and Alzheimer’s. A normal dose of Citicoline consists of 250 to 1,000 mg doses taken twice a day and a daily dose of 1,000 to 2,000 mg is recommended to support thinking skills. 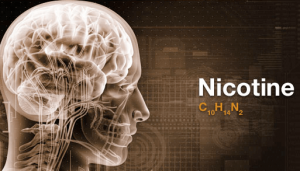 Cognizin is a highly available form of Citicoline that’s been proved to be a successful cognitive enhancer. Side effects include insomnia, headache, diarrhea, low or high blood pressure, nausea, blurred vision, and chest pains and it is advised not to mix Citicoline with levodopa since it can amplify this drug’s effectiveness which may require a change in its dosage. Curcumin is the main bioactive compound in the Indian spice turmeric and is the reason for turmeric’s brilliant gold color and health benefits. Curcumin increases levels of dopamine and serotonin which is the happiness brain chemical. It boosts blow flow to the brain as well as physical exercise and was found to improve both memory and attention in healthy seniors within an hour after taking a single dose. Curcumin dosage for a standard powder supplement is 400 to 600 mg three times every day. Although turmeric consumed as a spice in food is ultra safe, some turmeric supplements can cause nausea and diarrhea when over-consumed. Acetyl-l-carnitine (ALCAR) is an amino acid which increases mental and physical energy while protecting your brain from free radical damage. Additionally, it increases the neurotransmitters serotonin and norepinephrine, which help to counter depression. Research also concluded that acetyl-l-carnitine neutralizes tau proteins which produce the brain tangles believed to cause Alzheimer’s. The dose ranges from 630 to 2,500 mg every day and up to 4,000 mg for treating Alzheimer’s patients. Also, make sure you don’t confuse acetyl-l-carnitine with the cheap l-carnitine. ALCAR crosses the blood-brain barrier faster which l-carnitine simply cannot do. Acetyl-l-carnitine is widely considered safe with minimalside effects, mainly digestive upset, restlessness, or body odor. There’s also been somereports that acetyl-l-carnitine interferes with your thyroid hormone, so people with low thyroid are better off avoiding this. Bacopa is a conventional Ayurvedic herbal solution used as a nerve and brain tonic for improving memory, learning, and concentration. It’s been used even thousands of years ago which shows just how effective it is. It was originally used by scholars to help them memorize lengthy tales and scripts. 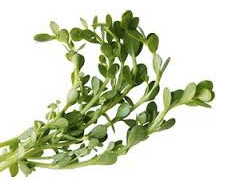 Bacopa increases cerebral blood flow, and so delivers more oxygen, nutrients, and glucose to the brain. This ancient herbal remedy was also tested against the popular smart drug Modafinil and Bacopa was the one declared far better overall. Bacopa is essentially adaptogenic which means that it has the ability to placate stressed minds and increase energy without being sedation. 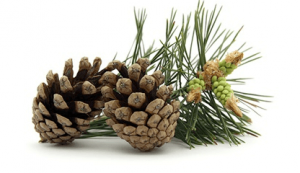 Adaptogens behave like a thermostat that keep you in an emotional comfort zone by balancing the neurotransmitters while reducing levels of the stress hormone Cortisol. 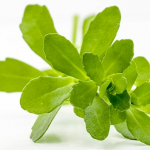 All of this makes Bacopa an excellent choice for one of the best brain supplements if you are looking for a cognitive enhancer that simultaneously tackles stress, anxiety, or depression. A typical dose is 50 to 100 mg three times per day, one with each meal. 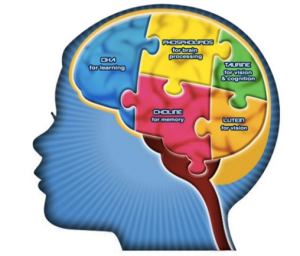 KeenMind is one of the brands being used as a cognitive enhancer. Bacopa is considered so safe that even children are allowed to take it. With minimal side effects like a dry mouth and minor indigestion, Bacopa is one of the best picks. It was also originally cooked with clarified butter. However, Bacopa should not be combined with antihistamines, antidepressants, glaucoma medications or thyroid hormones. Although Ginseng is a classical Asian herb, American ginseng is now considered the best globally. Even the Chinese prefer genuine American ginseng for its amazing quality and brain boosting functions. American ginseng is typically cultivated in Wisconsin and Canada, where the growing conditions are ideal for ginseng’s active ingredients called ginsenosides. Cereboost is an extract derived from American ginseng and research has proved it to be a great cognitive enhancer. The herb works quickly to improve memory, mental clarity, and sharpness within just a few hours after a single dose. Like Bacopa, American ginseng acts as an adaptogen, encouraging physical and mental energy while mitigating the effects of stress. It also reduces postprandial hypoglycemia which is known to trigger anxiety. A typical daily dose of American ginseng is 100 to 200 mg although no standards have been set for it. Brain supplements that contain Cereboost usually contain 200 mg. American ginseng supplements are available in different forms; capsules, tablets, powders, and liquid extracts. American ginseng can cause some side effects including diarrhea, itching, insomnia, headache, and nervousness and women are not advised to take American ginseng if they are pregnant, breastfeeding or have a hormone-sensitive cancer. Alpha GPC (alpha-glycerophosphocholine) is essentially synthetic Choline which is a vital nutrient for brain development, healthy brain cells, and neurotransmitter formation. The Alpha GPC form of Choline efficiently moves Choline into the brain where it helps in the formation of brain cell membranes and stimulates the growth of brain cells. Alpha GPC increases levels of the neurotransmitter associated with relaxation and constantly improves memory and attention span in people of all ages. The product is sold as a memory supplement everywhere and is also used to help the brain recover after an injury or stroke. A typical dose of Alpha GPC is 300 to 600 mg.
Alpha GPC is pretty safe if you discount possible side effects like headache, insomnia, dizziness, and confusion. Alpha GPC supplements are obtained from either soy or eggs so this is some useful bit of info for those who have food allergies. 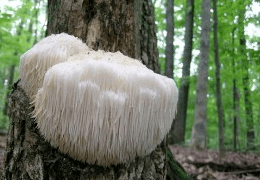 Lion’s Mane is a mushroom native to parts of Asia, North America, and Europe and is edible. It’s been used medicinally and as a culinary delicacy for more than a few thousand years. However, it is now sold as a brain supplement and is known to cause “nerves of steel” and the “memory of a lion.” Lion’s Mane It is a popular nootropic that excels at improving cognitive function and curing neurological disorders. It is found to contain the compounds, hericenones and erinacines, which stimulate the formation of nerve growth factor (NGF). This factor iis a protein that is crucial to the growth and maintenance of certain types of neurons. Not only can Lion’s mane help tackle anxiety and depression but also Alzheimer’s, and Parkinson’s. 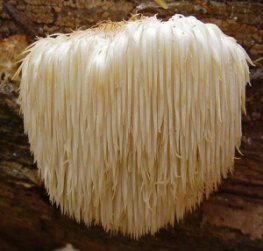 A typical dose of lion’s mane extract is 1,000 mg taken three times a day. Lion’s mane is available in capsules, powder, liquid tincture, or tea. This supplement is super safe and is routinely consumed as a food in Asia and is becoming increasingly available in gourmets. The only side effect is itchy skin. Magnesium is a crucial dietary mineral needed for over 600 metabolic functions. Magnesium deficiency is the second most common nutritional deficiency in developed countries which is known to cause brain fog, lack of focus, inability to handle stress, insomnia, caffeine addiction, and exhaustion. Magnesium supplementation is beneficial for lots of mental health conditions including depression, anxiety, ADHD, bipolar disorder, and schizophrenia. Magnesium l-threonate crosses the blood-brain barrier thanks to its ability to permeate brain cell membranes and improving memory, attention, depression, and anxiety. 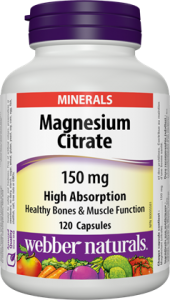 Magtein, a renowned brand of magnesium l-threonate has been proved to be a very effective cognitive enhancer. Recommended dosage for magnesium is 420 mg for men and 320 mg for women but these can possibly vary depending on how old you are. Magtein producers suggest 1,000 mg taken twice a day for the best cognitive benefits. As a side effect, magnesium can cause indigestion and loose stoolsfrom over dose or from cheap magensium forms like oxide or sulfate. The only reported side effects of magnesium threonate, however, are headaches and drowsiness the first week. Tryptophan is an amino acid that creates serotonin which is a compound that plays a large role in mood, sleep, learning, and appetite control. Low serotonin level can a major cause of depression. Most popular antidepressant medications like Prozac and Zoloft make more serotonin available in the brain. By increasing serotonin levels, tryptophan can enhance the quality of life for those with a wide variety of brain-related and mental health issues. Low tryptophan can cause both long-term and short-term memory loss and impair some cognitive functions. As little as 250 mg of tryptophan increases the quality of sleep while up to 12 grams per day has been suggested to counter depression. Supplement manufacturers suggest a daily dose of 1,000 to 1,500 mg. The most common side effects from consumption are digestive upset and loss of appetite and Tryptophan should never be taken with SSRI antidepressants. Vinpocetine is a somewhat new brain booster that combines characteristics of a brain supplement and smart drug. Vincamine is a flowering vine has been used to treat headaches, memory loss, and vertigo since ages. Vinpocetine supplements are taken to improve memory, overcome brain fog, increase mental clarity, and protect the brain against aging. It rapidly enters the brain to increase blood flow, reduces brain inflammation, protects against free radical damage, and balances neurotransmitter levels. Vinpocetine prevents short-term memory loss that often results from benzodiazepine anti-anxiety drugs. It also improves the brain’s ability to use glucose after a stroke. Most studies suggested a dose of 10 mg, three times every day. It is advised that you avoid taking Vinpocetine on an empty stomach for better absorption. Vinpocetine is generally safe with only a few side effects, including digestive upset, insomnia, headache, dizziness, nervousness, skin rash, and flushing. The Chinese club moss is a traditional Chinese treatment for improving memory and reducing inflammation. The main compound found in the moss is called Huperzine A.
Huperzine A boosts acetylcholine levels, and inhibits an enzyme (acetylcholinesterase) that deactivates acetylcholine. Huperzine A might also delay the symptoms of Alzheimer’s in the early stages. In China, Huperzine A is so powerful that it’s been given the status of an approved drug for treating vascular dementia and Alzheimer’s. The general dosage is 50 to 200 mcg twice daily. Although Huperzine A is a natural compound, it has side effects like insomnia, anxiety, nausea, diarrhea, blurred vision, slurred speech, restlessness, anorexia, muscle twitching, cramps, incontinence, high blood pressure, and slowed heart rate. Ginkgo is one of the most mainstream natural remedies in the world. It essentially increases circulation to the brain, offers mental balance, and protects the brain from free radical damage. Ginkgo has been proven beneficial for curing stress and anxiety by lowering levels of the stress hormone Cortisol and easily cures short-term memory loss in seniors. Ginkgo also reduces ADHD symptoms in children and teens and can increase the turnover of both serotonin and dopamine, which are neurotransmitters associated with depression. A typical ginkgo dose is 40 to 120 mg three times a day. Ginkgo side effects include digestive upset, diarrhea, dizziness, headache, and restlessness and this brain supplement should not be taken with selective serotonin inhibitor antidepressants such as Prozac or Zoloft. DHA (docosahexaenoic acid) is an omega-3 essential fatty acid that is the most important one for your brain. Omega-3 fats are harder to get from diet since not a lot of people feast daily on wild, cold water oily fish like salmon, herring, mackerel, and sardines. DHA plays an important role in brain cell communication.Low DHA levels have been linked to depression, ADHD, serious psychiatric disorders, and a measurable decrease in brain volume. DHA is commonly sold as a major component in fish oil or krill oil supplements. If you are taking DHA alone, you can take up to 1,000 mg per day. DHA is pretty safe; it may increase blood sugar in diabetics and lower blood pressure in those with hypertension which changes your need for medication. Phosphatidylserine (PS) is a phospholipid found in high concentration in the brain. 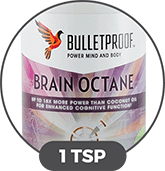 It is a top brain supplement for boosting memory, cognition, concentration, and learning. PS is a major component of human brain cell membranes. It supports the membranes to keep toxins and pathogens from entering your brain. It also neutralizes Cortisol to counter stress. The supplement is safe and beneficial for people of all ages. It can significantly improve attention deficit hyperactivity disorder (ADHD) symptoms in children and is a common memory supplement used by students to do better on their exams. The general recommended dosage is 100 mg taken three times a day. L-theanine is an amino acid found in black and green teas is unique in the sense that it changes your brain wave patterns. It puts you in “relaxed attentiveness”, thereby sharpening focus, reducing stress, and leaving a sense of overall well-being. L-theanine raises levels of important neurotransmitters like serotonin, dopamine, and GABA to promote recall, learning, motivation, and positive mood. It can even improve your quality of sleep. Some college students use the caffeine-theanine combination as substitute for smart drugs. L-theanine even improves memory and cognition in seniors and is neuroprotective against stroke, Parkinson’s and Alzheimer’s. The general recommended dosage for l-theanine is 200 to 400 mg once or twice daily. Suntheanine is a popular brand for this supplement. L-theanine supplements are very safe, having only minor side effects like headache, dizziness, and gastrointestinal distress. All vital vitamins and minerals play an important role in brain function. While some act as natural antidepressants or combat the effects of stress, others are needed for proper neurotransmitter formation. The Harvard School of Public Health also advises all adults to take a multivitamin supplement to fill any nutritional gaps that can’t be promised by the daily diet. Though opt for the more expensive one rather than a junky Cetrum version or if its just brain health you seek to improve consider MaxSynapse or Lumonol. There are countless health benefits to be derived from consuming brain supplements, for example, to improve mood, memory, and concentration as well as to protect the brain against aging. 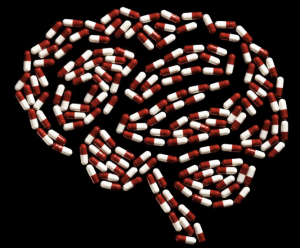 We have listed some of the best brain supplements proven by research, experience and demand. We recommend that people look into each of the health supplements we have explained and choose the one that suits their needs best.